There is a fundamental truth about test takers when it comes to the LSAT: everyone is different. That is, everyone who sits down with this exam will have unique strengths and weaknesses, likes and dislikes, and, ultimately, ways in which they can optimize their performance in every section. And while that certainly affects how it is that people prepare—where they should devote their time and effort when studying—I think it also dictates how test takers should behave during the actual test. 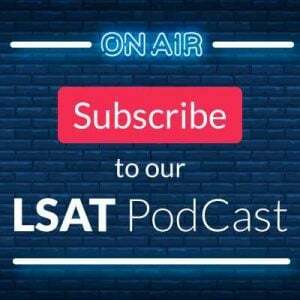 In this three-part blog series, we will look at each of the three question/section types on the LSAT, and consider exactly how an informed test taker should attack each type. 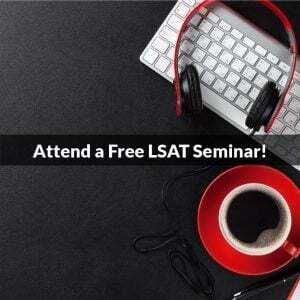 This particular post will examine LSAT Logic Games. A few facts about the Games section to start us off: (1) the games will be a mix of several different types—typically a Linear, Advanced Linear, Grouping, and then something else (another one of those three, a Linear/Grouping Combo, something obscure like Pattern or Mapping, etc. )—given in no predictable order; (2) the games are not necessarily presented in order of difficulty, either from easiest to hardest, or vice versa; and (3) “difficulty” itself is dependent on both the nature of the game, as well as your personal preferences and abilities. In other words you will find as you prepare that certain games are either inherently easier or more difficult for some feature that they contain, such as the general mildness of a Basic Linear game that is Defined and Balanced (the number of variables to be ordered is specified and matches the number of spaces to be filled) compared to the typically more challenging scenario of a Grouping game that is Partially Defined or Undefined (numbers are not fully specified), or Unbalanced (the variable sets are not consistent in terms of size). And you will also find that you have particular strengths and weaknesses—games on which you tend to perform more strongly or poorly—that are consistent and fairly predictable, which suggests that “difficulty” is, in part, subjective. So what do these “truths” about Logic Games tell us in terms of how to approach the section? The most crucial point is that you should not necessarily do the games in the order they are given! Knowing that you are going to see several different game types presented in a somewhat random order, coupled with your understanding of what games tend to be hardest, both in general and specifically for you, means that your first action when you get to Logic Games on test day is to quickly scan the four games and determine the order that is most preferable for YOU. Don’t just dive in to Game 1 and start working through it, at least not until you have looked at Games 2-4 and decided that the first game is likely to be the easiest for you. So if you see a game that looks inherently straightforward, or representative of a scenario in which you were successful in the past, chances are high that that game would be a reasonable place to start, and if you begin reading a game scenario that is confusing or wholly unfamiliar, save it for the end when you have completed everything else. Similarly, if you know that Advanced Linear games tend to give you trouble more frequently than the other common types, and you see that Game 2 is Advanced Linear, there is no need to do it until you have completed the other three. And if you have a type you strongly prefer—Basic Linear for most people, but again, everyone is a bit different; I happen to prefer Advanced Linear to the other types, but I certainly don’t speak for the majority—quickly scanning for a game that fits your preference and beginning with it is the advisable route to take. The advantages to this strategy of adaptive attack are multi-fold. Not only does it allow you to begin the section with what is likely to be a successful, rewarding experience, establishing confidence and momentum, but it also ensures, as much as is possible, that your time in the section is spent where it will confer the greatest benefit: on the games where your odds of a strong performance are highest. Finally, there are a couple of additional points to consider as we wrap up this discussion. First, the number of questions in each game can be a factor in determining desirability. Say you have two equally attractive games, but one has five questions and the other has six (or even seven)…go with the game that has more questions, as your time invested in setting it up will give you the opportunity to gain more points. This is the “more bang for your buck” idea, and it’s an important one to keep in mind. Secondly, maintain a high degree of self awareness as you move through a game. Some games can appear to be straightforward but as you begin diagramming you will find that they are much more difficult than expected (Game 4 from the December 2012 LSAT comes immediately to mind). If that’s the case the best decision may be to move to a different game and work it first, rather than potentially getting mired in a game that is more challenging than you anticipated. On a related note, some questions are likely to be more difficult, or more time-consuming, than others, and it may be wise to skip these and either guess or return to them later if there is time. 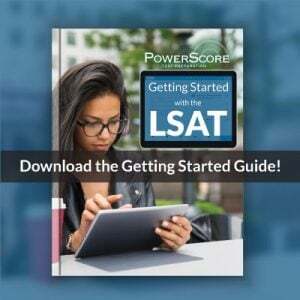 Just because you have initially committed to a game or a question does not mean you absolutely must see it through—choosing to spend your time elsewhere can be an extremely wise decision in a number of situations, and making wise decisions is the key to reaching your full potential on the LSAT. In Part 2 of this series we will examine Reading Comprehension and the elements therein, and look at exactly how an adaptive approach to the passages is unquestionably the most effective strategy. Until then, let me know your thoughts, as well as any particular strategies that have worked well for you, in the comments below!